My home is where electronics go to die. I have a couple shelves in my garage dedicated to the tech relics and gizmos that were at some point “necessary,” but are now gathering dust. Some old devices still have value on the resale market, if only to those looking to break them down for parts. Other things can live a second life, as a toy or limited function gadget. 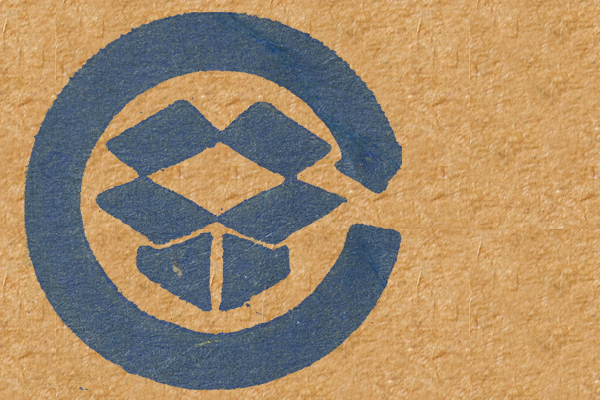 Even if you can’t get any more use out from your old tech gear, don’t toss it in the trash. As electronics degrade, they release toxic waste into our landfills and ground water. Let’s review how to re-home, re-purpose or recycle your aged electronics. Re-home it. If you decide to sell your device or computer to make some cash, you’ll generally get the best return from Craigslist, where potential buyers can see the device – and confirm that it works as advertised – before they buy. Sellers in smaller communities, however, may have a better response via EBay due to the larger pool of potential buyers. Avoid scams by shipping to the verified PayPal address and reviewing the site’s best practices tips. Remember to return all electronics to their original factory settings and do a secure re-format/reinstall on laptops and computers to prevent identity theft. If you have the original packaging and cables, you can expect to fetch a higher price. For those wary of Craigslist or EBay transactions, services like BuyMyTronics and Gazelle will buy back cell phones, tablets, MP3 players, cameras, eBook readers, and even game consoles. Compare prices between the websites to find the best deal. If your item isn’t listed, you can request a custom quote. These services generally pay less than you’d get from an individual buyer, but if it’s worth avoiding the potential headache of a peer-to-peer sale, you need only agree to their offer and mail it in. They’ll even provide a pre-paid envelope. Funds are sent to you by check, gift card or PayPal. Consider donating to your child’s school or to your local church for a tax deduction. Looking for someone to donate it to? The Free Cycle Network is a cool way to link up with needy individuals in your area. Persons interested list their “needs” and you connect with them through the website. You can also post an “offer” for someone to take the gadget off your hands. Repurpose it. We recently upgraded our smartphones to the latest version, but our older ones still have a few years of life in them, so we converted them into gaming devices for the kids. They love having their own “phones,” and I love having a nearly-new iPod Touch for them that required very little setup. I simply removed all the apps like Facebook and Amazon, disconnected my personal email account, and set up restrictions so they can’t delete content or make in-app purchases. All the games that can be played off-line are available when we’re traveling, but they still have to connect to WiFi if they want to stream PBS Kids. Smaller devices fit perfectly between the headrest and the front seat, so you can set up a movie without worrying about them deleting content or playing it too loud. Speaking of the car, an old device is also perfect for media storage. Load it up with all your music and audiobooks and leave it in your car. Then you can save the batteries and storage space in your primary phone. Devices that don’t hold a charge well can be bound to a docking station and used as a bedside clock, alarm or music player. We used antiquated iPods for white noise in the baby’s room for years. Don’t forget Mom or Grandma in that repurpose thought as well. Your antiquated gaming PC may not work for your latest memory hog game, but they don’t need something so fancy to simply surf the net or play Candy Crush. An old gaming console can act as a streaming device to give your houseguests access to Netflix. And because old games are significantly less expensive than new ones, consider letting the kids bang away on classics like Sonic and Lego Star Wars, while you keep the new console to yourself. Recycle it. Whatever you do, don’t just throw it in the trash. Companies like All Green Electronics Recycling will come out to your home or business and pick up your e-waste for free. Check with the manufacturer of your product. Dell, HP and Apple all have recycling and trade-in programs that can give you credit towards a new purchase, and sometimes a tax write-off, assuming your old tech isn’t too out of date. Retailers like Radio Shack and Best Buy will recycle some items for you for free if you drop it off at their store. InterConnection.org offers an easy recycling option with a write-off. Donate laptops, tablets or phones by mailing them in. Businesses can schedule a pickup. They securely wipe your data with Department of Defense compliance, and then donate the item to underserved communities around the world. Because they’re a non-profit, your donation is tax-deductible.